Some experiences have a habit of stripping my intellectual and spiritual pretensions away. Inescapably seared into my consciousness is the day as a young child I was watching a tense game of cricket and as the bowler approached the wicket I mouthed two simple and hope-filled words at the television: bowl him. He did. He bowled him. You and I know that my words had nothing to do with what happened, but that doesn’t stop a little part of me thinking that it did; especially when I’m watching an event as a 40-something adult and my team need some inspiration. Bowl him. Score. Save. Miss. I’ve mouthed or uttered or shouted all of these and more at the crucial moments in more recent years. I don’t really believe it, of course … but there I go, regressing to childhood innocence once again, offering my incantations to the implacable gods of sport, hoping they’ll remember mercy and act on my behalf. 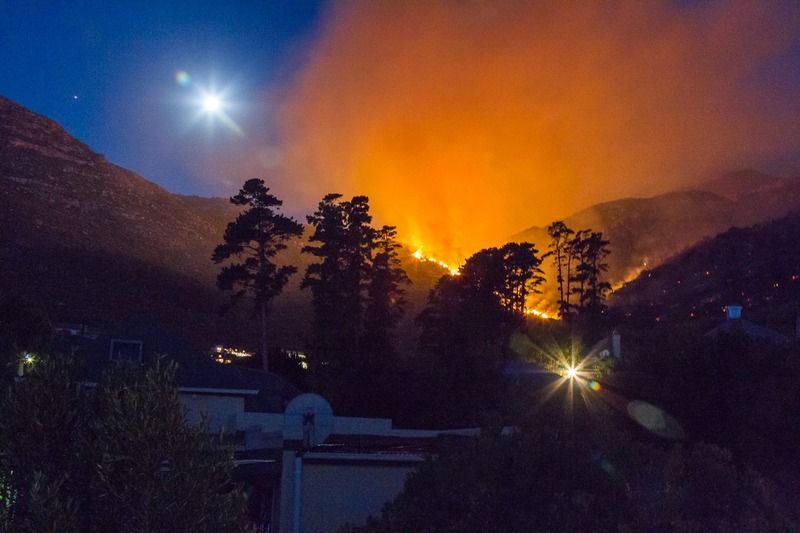 I live in Cape Town, which recently experienced an especially severe summer fire. 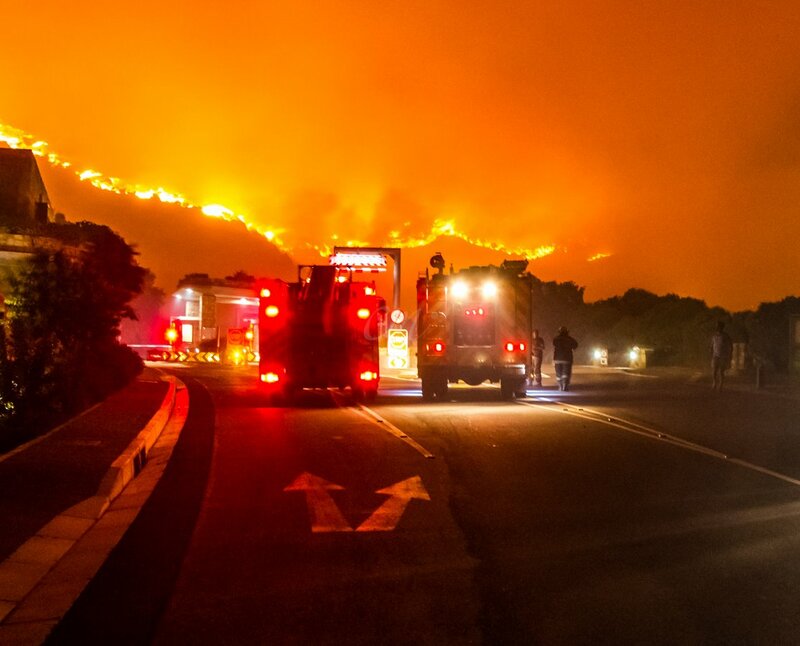 It bears repeating that the professional fire services acted with immense bravery and professionalism; they were ordinary people doing something amazing. So too did individuals faced with trying to save property, businesses or lives. 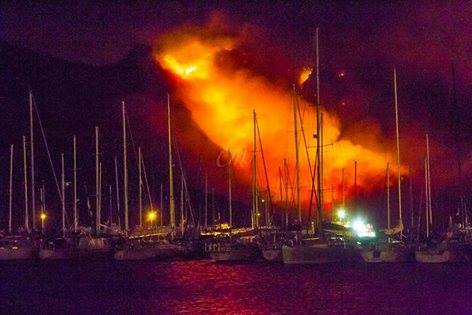 Wild fires like these do something to us as we watch. Personally we were unaffected; however friends were evacuated, and we’ve heard stories of others getting stuck in to rescue a farm or a house. It does something strange to our prayers and our faith and our view of God. The raw, seemingly unstoppable power we see laid bare takes us back to the basics. God, stop the fire. Save us. Send rain. We, with all our sophistication and theology and ideas and science are reduced to begging an invisible being to do something with a visible crisis. We have no power; someone must, though. Now we know that God is a perfect Father, so this stripping away is a good thing if it pushes us into a more childlike honesty with God. Dad, stop the fire please. Please. Pllllleeease. We all need to be a bit more like that and a little less reliant on our intellectualisation. However He’s a perfect Father who not only knows best but who exists in and over a complex world, and who does so whilst maintaining an attitude of grace towards His children. Search the Bible and you’ll see no one formula, set of words or system that’s going to get His attention and get Him to work in the way in which we want Him. We all know it’s not that simple; but that doesn’t stop us thinking that if we just pray like this or this hard or this long or with these words that we’ll get the healing/provision/direction/rain we need. That’s the thing with grace, though. It means we already have his attention, his best intentions, his perfect focus. We don’t need to do or say anything; but like any father He’s desperate to hear from us. Do my words have any effect? I honestly don’t know. I’ve seen inexplicable things happen when we pray and I’ve also seen nothing happen when we pray. So if the fire or other crisis strips us back to a kind of Baal-like set of incantations and lever-pulling before an almighty slot machine then we’ve got a problem. We’ve allowed a most basic thing – fire, an elemental force – to rob of us intimacy and closeness and turn us into helpless subjects of a disapproving and distant taskmaster. Dad, we need it stop. I know, He says. Does He stop it, or does it just stop? Does He send the rain, or is it just weather? I don’t know. I honestly don’t. But how good is it to hear I know when we breathe out our most fervent and desperate prayers? I need to pay a bill. It does something to us deeper than solving a problem; it tells us we are not and never will be alone, unheard or unloved. It doesn’t solve everything; and some days it will be soul-deep frustrating. Instead of getting the right answer every time, we will get a friend, a father. Which lasts much longer.